Story of My Tea's Blind Tea Tasting pack is billed as "a guessing game for your sense of flavor." The company ran a successful Kickstarter campaign earlier this year. I got in on the action with a courtesy box. How well did I do in this tea tasting game? Each pack includes 4 blind pouches, reveal cards, a tasting wheel, and tea filters. My blind teas were 6009, 6016, 6017, and 6023. By sight and taste, I knew the types of three of the four teas. Teas 6009 and 6023 were black teas. 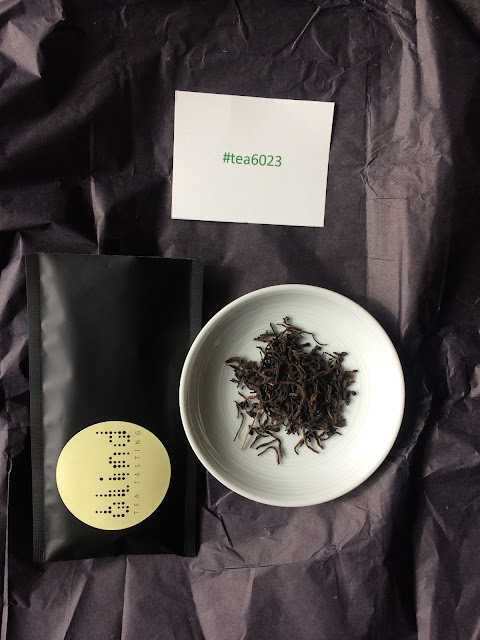 I knew that 6009 was a Darjeeling; it's full name is Organic Darjeeling Sungma SFTGFOP I. I noted that black tea 6023 was not Chinese or Indian (Darjeeling). I noted that it tasted like a Sri Lankan tea. It is St Clair Black, a high-mountain Sri Lankan tea. The pouches for teas 6016 and 6017 were mislabeled. I knew that the pouch labeled 6016 contained a rolled oolong. It tasted like a milky oolong. The tea in pouch 6106 was actually tea 6017, a Chinese milky oolong processed by steaming the leaves in milk. The tea in the pouch labeled 6017 was a string-style tea. The tea in pouch 6017 was actually tea 6016 is a strip-style oolong, a brandy oolong specifically made from Camellia sinensis assamica. 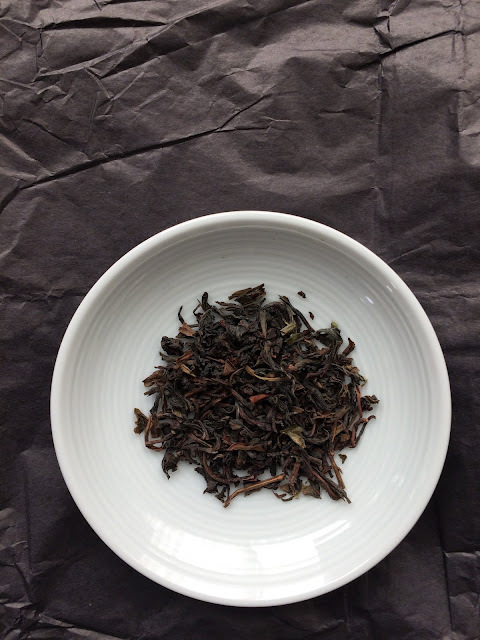 Here are my blind tasting notes for the four teas in my pack. 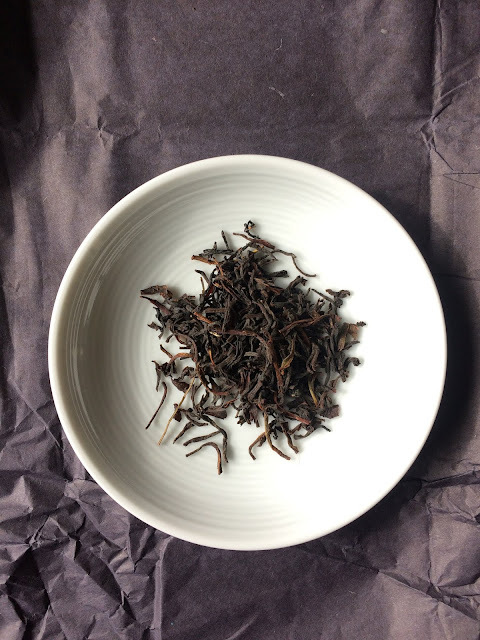 I should note that I didn't totally figure out the mislabeling until after I had a session or two with the teas for which I used preparation parameters that were probably not ideal for the two oolongs. 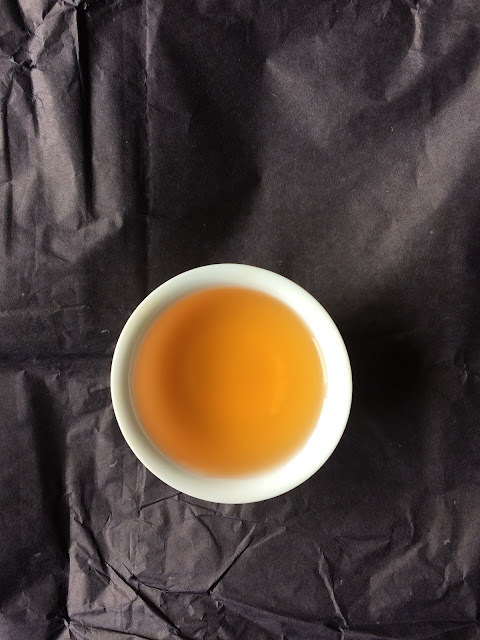 The information reported below reflects the correct parameters for the two oolongs. Although I now have my Tea Sommelier certification, I am not a tea master. I did not recognize the strip-style tea as an oolong. My favorite of the teas was the Darjeeling. All of the tea experiences would benefit from a higher leaf to water ratio. My least favorite of the teas was the flavored Chinese Milky Oolong. 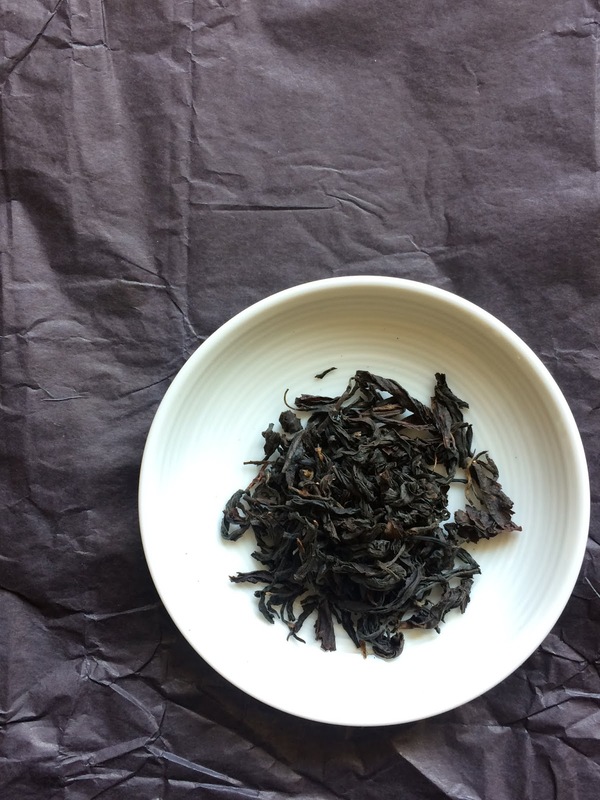 If you haven't already, try a Taiwanese milk oolong made from the Jin Xuan cultivar. Blind Tea Tasting pack provided by Story of My Tea.